The F00S mini diameter sensor is our most compact and can integrated in machines with limited space such as: Tornos SAS 16.6, STAR SR 10, CITIZEN K12 - K16. The measurement capacity is 3mm-16mm. The probe is designed for machining environments with chips, oil, and coolant. Its high precision construction and design ensure excellent accuracy and repeatability. 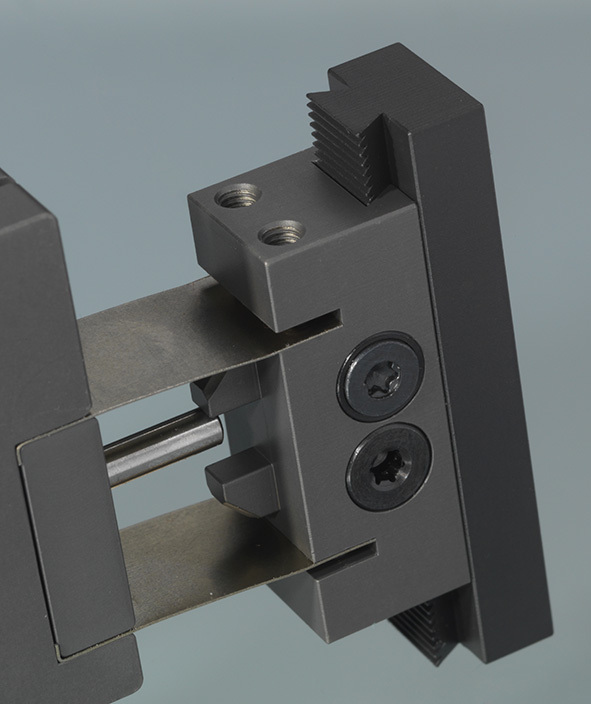 A reversible clamping flange allows for easy height adjustment from either side of probe and mounting. The new dovetail profile design of the fixed contact arm allows the gauge to be more compact while offering even more rigidity. In addition, the clamping flange is identical to the reversible clamp on the slide and can be accessed from either side. The fixed contact arm is now a single component, ensuring the best rigidity.